A number of stars have signed an open letter calling for the UK Government to help reduce the suffering of those with mental ill health by increasing investment into the provision of mental health services. 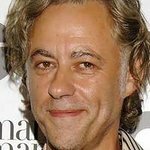 Among those who have signed the letter are Bob Geldof, Ruby Wax, Matt Lucas, Joanna Lumley, Sir Ian McKellen, Danny Boyle, Mumford & Sons, Bill Nighy, Graham Norton, Richard Curtis, Alan Rickman, Jennifer Saunders, Dawn French, Richard E. Grant, Miranda Hart, Lenny Henry, Annie Lennox and many more. “As ministers make final decisions on the Spending Review, we urge them to treat mental health equally with physical health,” reads the letter. "We ask for the same right to timely access to evidence based treatment as those with physical health problems. To read the full letter, and sign the petition, click here.